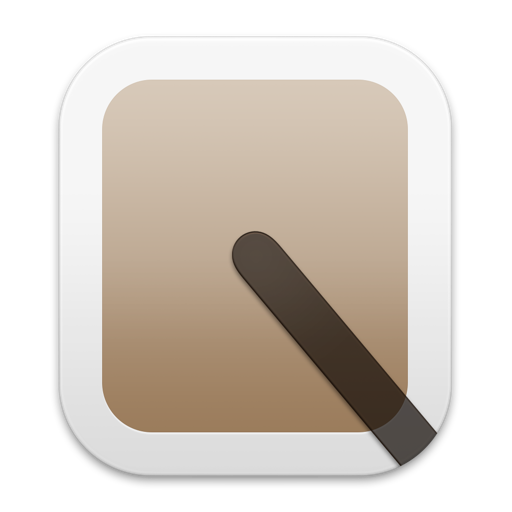 QuickKey 2 now supports multiple placeholders—so you can define a block of text with multiple "variables", crafting entire e-mails. 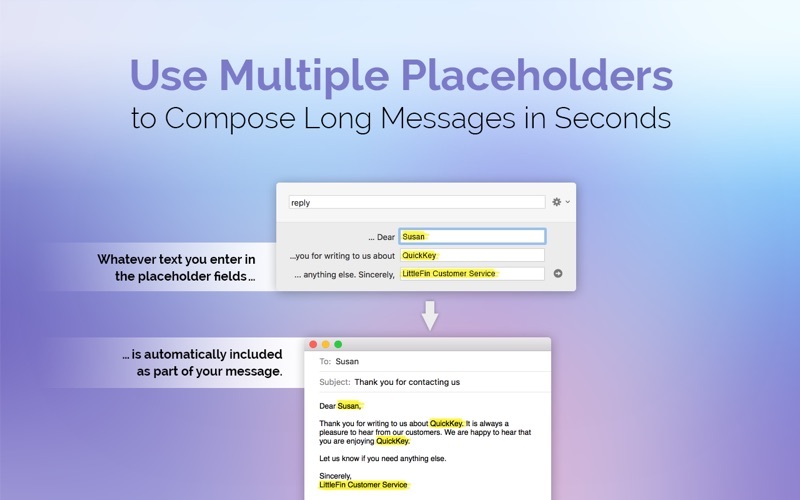 - Quickly send common e-mails. - Set up custom e-mail signatures to insert on demand. 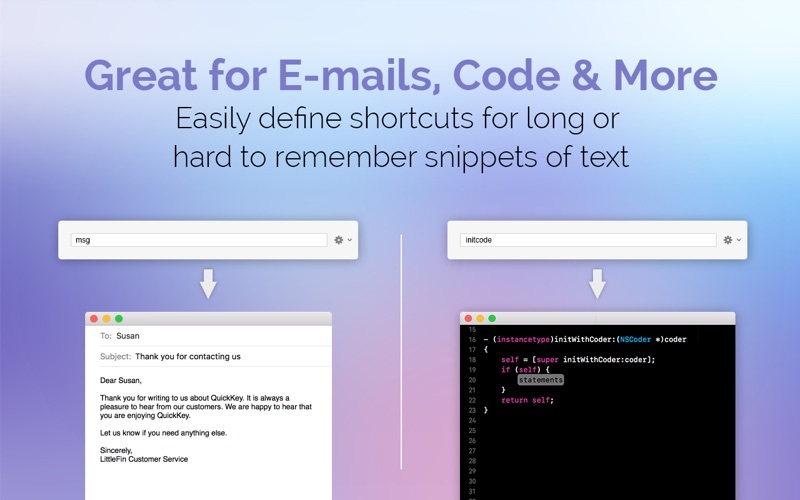 - Quickly respond to e-mails with boilerplate replies. - Insert snippets of code you use frequently. If you have questions or problems, don't hesitate to contact support@littlefin.com. 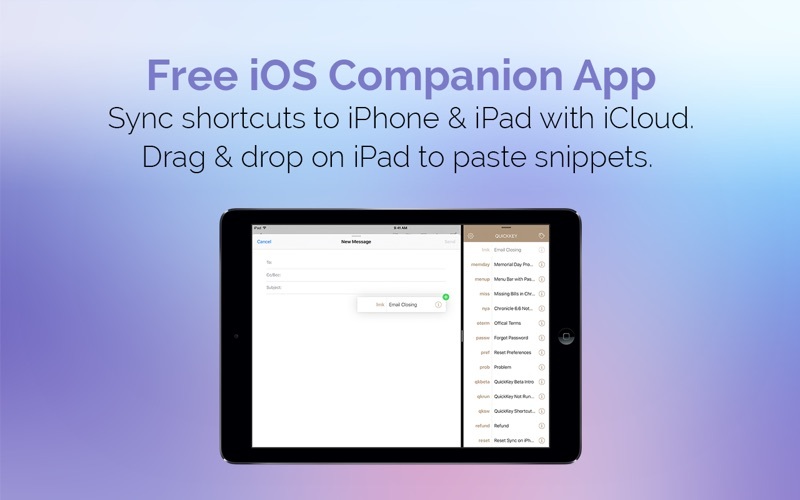 • New: Shortcuts auto-fill as you type. Press the return key to accept autofill, or just keep typing to ignore. 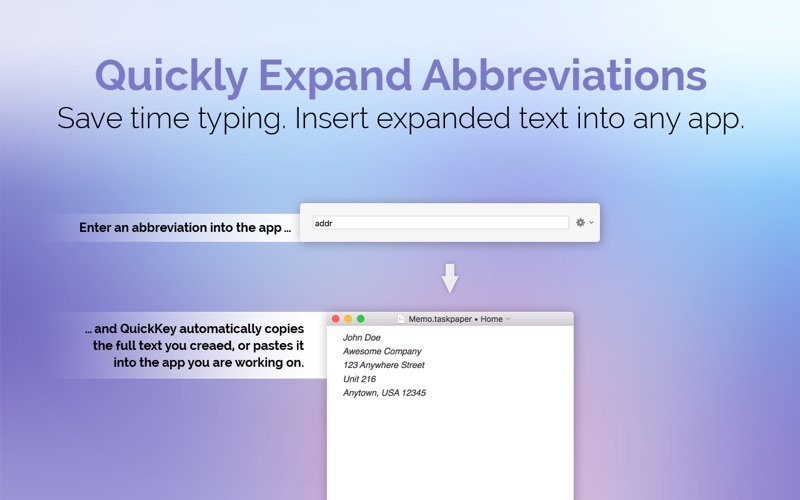 Typing in a full shortcut will auto-copy like before. You can turn autofill off in QuickKey's preferences. • Fixed: When inserting a shortcut with variables, variables will not disappear when switching to a new window. • Minor bug & typo fixes. COMING SOON: iOS version is in development, and will be released in September!